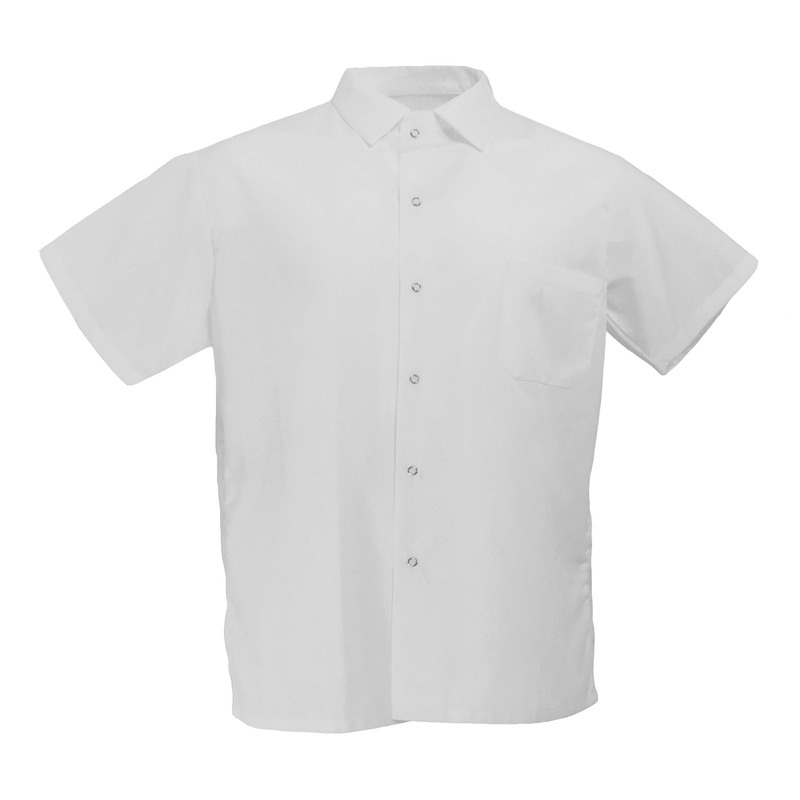 This kitchen classic Cook Shirt is simple and stylish, crafted with an easy-to-wear fabric. This shirt meets the rigors of any kitchen. It features six durable gripper snap buttons on the front, in addition to one chest pocket.